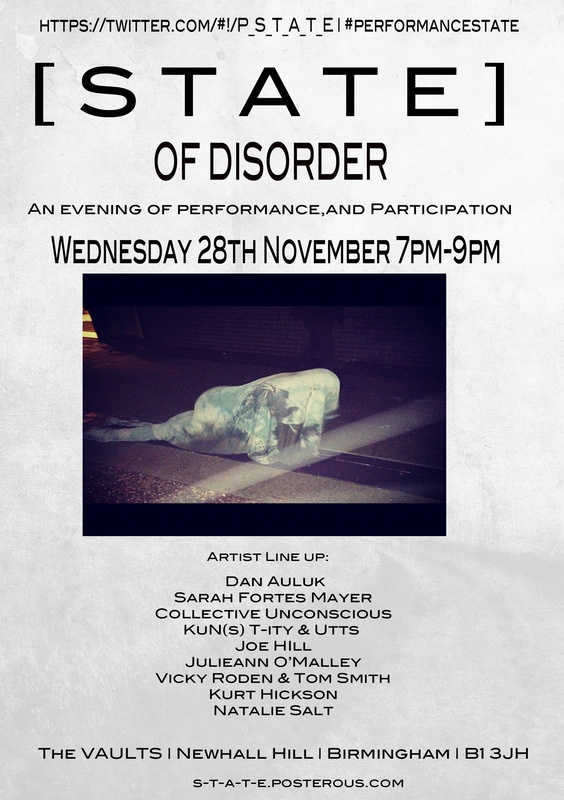 This night of curated performance has consistently been full of ideas and provocation, come if you can. . .
body: eating disorders and substance abuse. T-ity & Utts, Nat Salt, Vicky Roden & Tom Smith, Collective Unconscious and Kurt Hickson . all the lost soles make their way through the Vaults. Kurt Hickson asks you to truly take hold of your disarray and make your mark on the evening and Vicky Roden & Tom Smith invites you to apply for a place in the exclusive ‘Sanctum Micro Community’ but make sure you look under the surface as you don’t know what you will find. Previous: Fierce wishes you a great Christmas!! !